Festive Eid Lawn 2018 For Grabs By Tena Durrani. 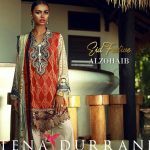 The name of the house Tena Durrani excites us once again with its latest range of Eid Festive lawn in collaboration with Al Zohaib Textiles. A fusion of the signature style of the designers: Tena focused on the creation of sets of statements that deal with tradition with a touch of modernity. 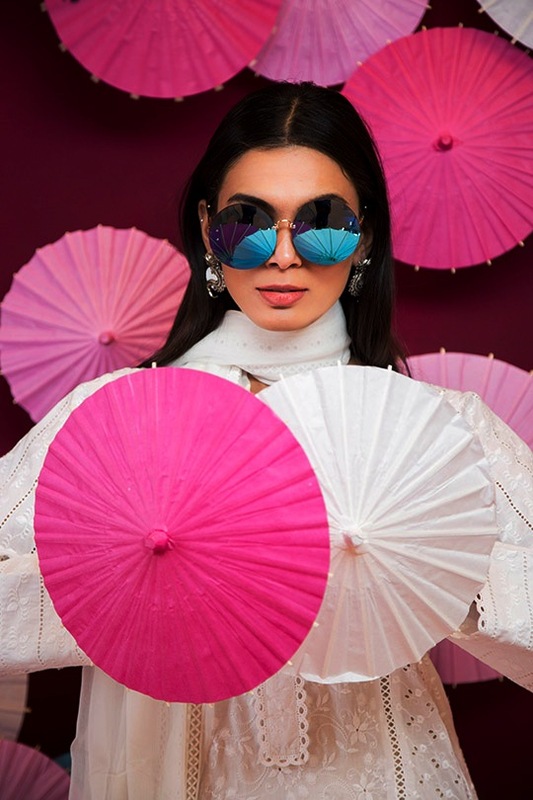 Made of exuberant tones of sunny yellow, midnight blue, burnt orange and bluish green the collection gives us major summer vibes. 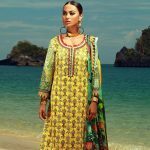 For us, personally, we can never say no to yellow, a basic element of an integral wardrobe and something that works perfectly in the beautiful sensation that the monsoon season brings. 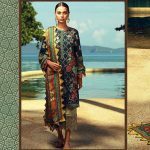 Dripping with bursts of crimson and turquoise on the printed lawn, one can really feel Tena’s love work through this set. Accompany it with an elegant do and high heels sky and you’ll be ready for Sunday brunch in no time. 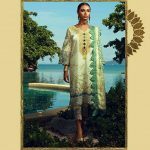 Known for producing fabulous new designs on a regular basis, it does not surprise us at all that Tena has made herself one more time.